We usually make at home dishes that everybody will eat at home. Sometimes it’s hard to find the perfect balance between 4 year old and 14 year old and not fall-back to schnitzel with pasta or making the same dish every day. 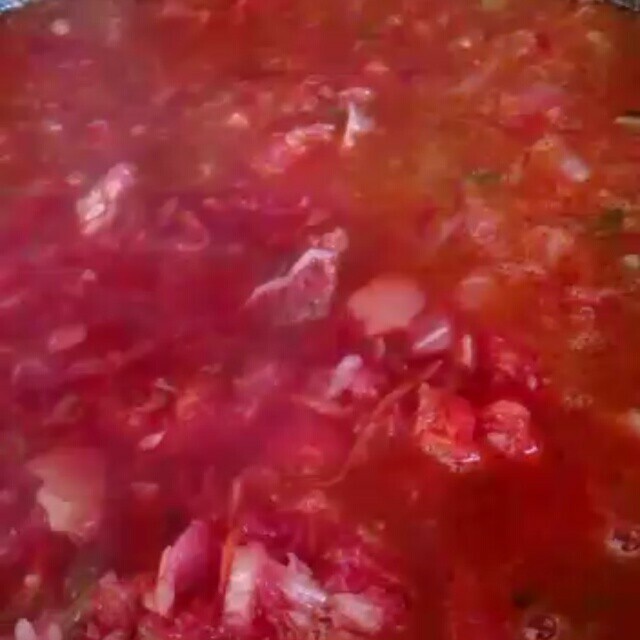 One of those dishes is borscht that we are doing today and you can see in this video. Correctly made borscht or Ukrainian meat based beetroot soup is based on slow cooked meat and full of vegetables. Served with dill and sour cream is a meal on itself.